Outdoor Kitchen Installation Phoenix | Edgewater Design Co.
For those living in the Southeastern Phoenix valley, adding a custom outdoor kitchen to your existing backyard not only increases your property value – but can make your home the go-to spot for afternoon and evening events. Although it might seem simple to add a BBQ and other cooking appliances, the process of converting your vision into reality can be time consuming and frustrating. At Edgewater Design Company, we specialize in simplifying this process by creating elegant outdoor kitchen concepts that are not only stunning to look at, but practical, balanced and most importantly – affordable. Give us a call at (480) 389-7114, we’ll take your outdoor kitchen to a whole new level! EDC is an innovative outdoor design, construction, installation and maintenance firm dedicated to surpassing the expectations of every client we work with daily. Our passion for transforming your vision for outdoor landscaping, pool design and outdoor kitchen projects into reality is one major factor that separates us from the competition. Creating customized solutions that are both beautiful and elegant, while maintaining cost-efficiency without compromising quality is our primary objective. Our founder Matt Palmer utilizes his extensive practical experience along with his education (earning a degree in horticulture) to develop outdoor kitchen designs that complement existing landscaping features or blend seamlessly into an entire backyard remodeling project. The design team at EDC considers the exposure of agriculture, the size and scale of the area in relation to the materials used to build your outdoor kitchen, as well as your desired level of maintenance, architectural style of the home and most importantly – your budget. Design Consultation: The best way to develop a strong working relationship in any industry, is to focus on facts, honestly and ensure transparent communication through the entire process. For this purpose, our initial phase begins with an initial outdoor kitchen design consultation. 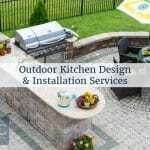 With this first, free consultation we will review your vision, goals, desires, objectives and what functional elements you want incorporated into your outdoor kitchen. Are you a seasoned BBQ expert looking to infuse a southern pit BBQ into your outdoor kitchen – or perhaps grilling is more your style? Regardless of vision – we can create a solution. 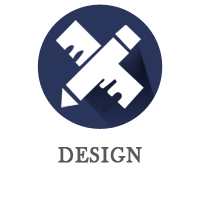 We will also discuss any hurdles, questions or concerns you might have to ensure you are 100% comfortable with our team taking on this design project. 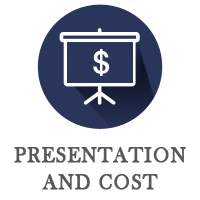 Presentation and Cost: The next phase is to present a concept to you. This is where we take your feedback during the initial design consultation and showcase our talent for bringing it to life. We will outline our ideas and service offerings as well as discuss all costs associated with designing an outdoor kitchen in Southeastern Phoenix Valley. 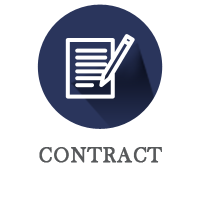 Contract: Once we agree on a time-line and budget, we will document and sign a contract to begin the designing the outdoor kitchen, from the initial construction to finished product – so you can see the entire project take life. Our history of following this type of process to achieve elegant designed outdoor kitchens and landscaping projects has grown our company primary on customers we have previously worked with alone. In fact, we receive most referrals from satisfied customers, mainly because our standards for ensuring you are fully satisfied with the finished design is exceptionally strong. If you would like to learn more about our outdoor kitchen design services in Phoenix, and to receive an estimate or set up a free design consultation, contact us at (480) 389-7114 today!